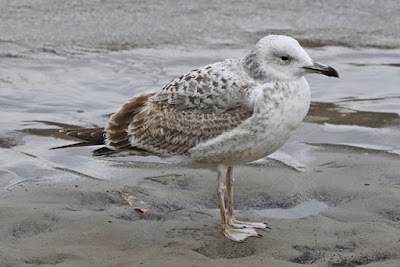 Rotherhithe & Beyond: Two Caspian Gulls in Rotherhithe! 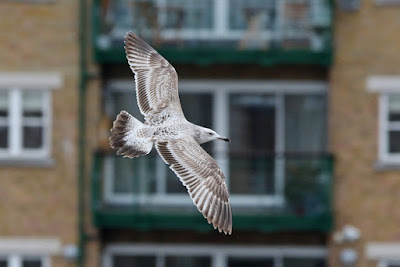 In previous winters, I have not really hung around Rotherhithe much apart from the regular token daily looks on Greenland Dock on my way to or from other places. However, this year things have changed a bit and along with the O2 and Thames Barrier Park upping their game, the area within walking distance of my home seems to have become a bit more of a magnet for those beasts from the east - Caspian Gulls. 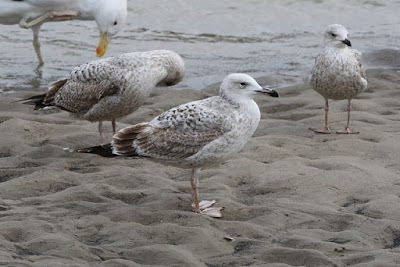 It is readily apparent that if you read this blog, a weekend for me isn't a weekend without my fix of this species and so Sunday was a real treat. 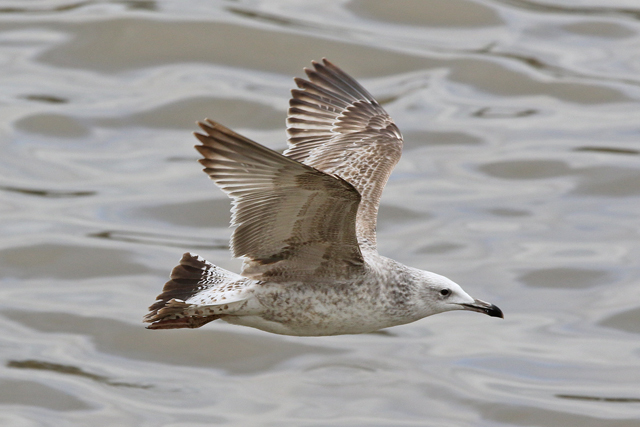 Now given that I have only ever seen three Caspian Gulls (plus last week's German hybrid) in Rotherhithe, I was fairly happy with things as they stood. 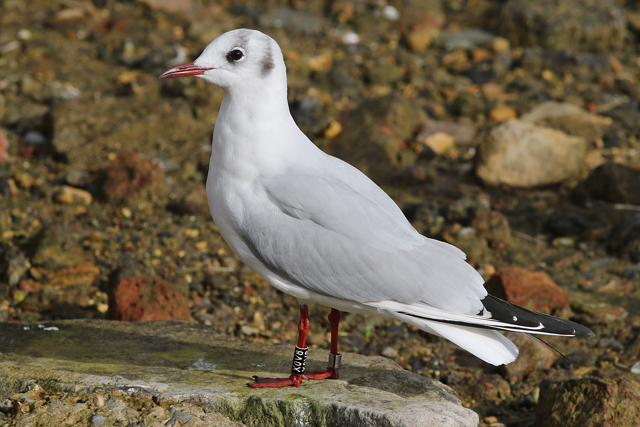 I headed to Canada Water to pick Dante up, and where there was a new German-ringed Black-headed Gull along with a Thames ringed bird there too. That is until some inconsiderate tourists decided to spoil the party by running down onto the foreshore. 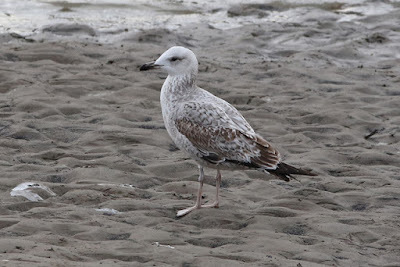 That was that for the day, and with the tide coming in and me venting my frustrations at them, it was time to call it quits and be happy with the two really local Casps.